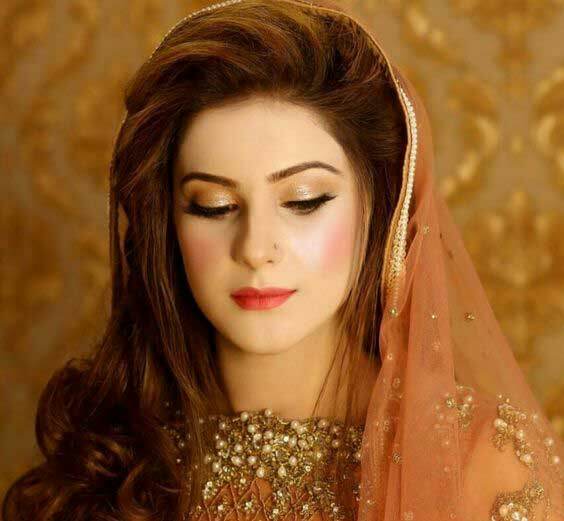 Are you looking for the stunningly beautiful Pakistani engagement makeup ideas to match perfectly with your dress color combinations? If yes, then this article is certainly for you! 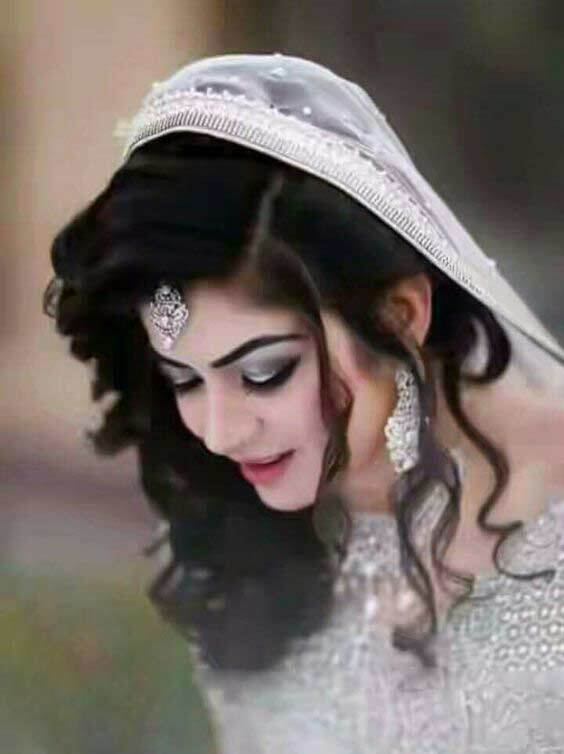 You will sense this when you will see the best engagement makeup looks with images and watch a step by step video tutorial for engagement makeup with tips. When it comes to the makeup for engagement function, make sure to use the organic products and minimal use of makeup that can work for you according to your skin type. At the end of this article, you will watch another short video guide rich with significant engagement makeup tips, specifically according to your face shape. 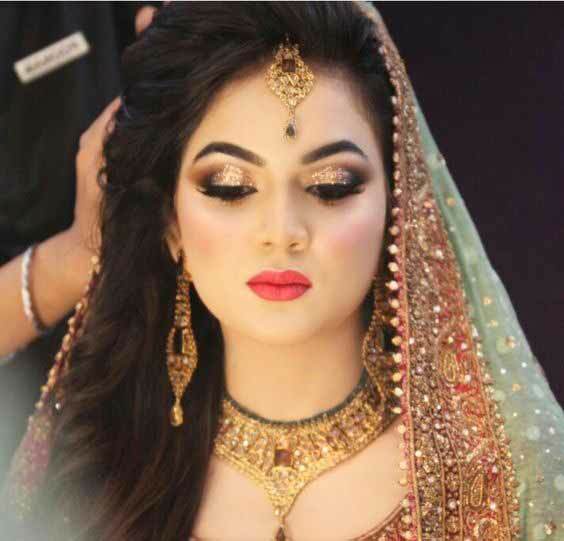 Make sure to bookmark this page for more Pakistani engagement makeup tips, you will need it! All of the Pakistani engagement makeup images (presented in this article) have been categorized in terms of color combinations of your engagement dress. From simple to glittery and royal makeup, this post features the best ever bridal makeup ideas for your engagement ceremony. 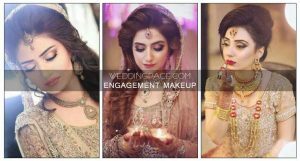 Pakistani engagement makeup looks according to your dress color combinations. Important makeup tips to be remembered when you are about to get ready for your big day. Have you got your engagement dress? If not yet, then before you buy, must check out these Pakistani engagement dresses for brides-to-be! Because engagement makeup and dress color combinations should complement each other. 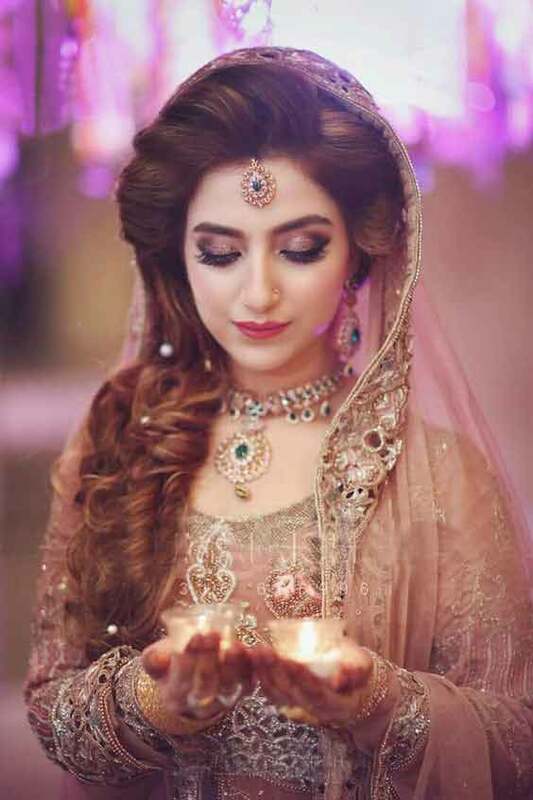 This article features the latest Pakistani engagement makeup to match perfectly with most coveted bridal dress color combinations. As we all know that individuals have their own priorities and choices. So as the Pakistani brides-to-be have! 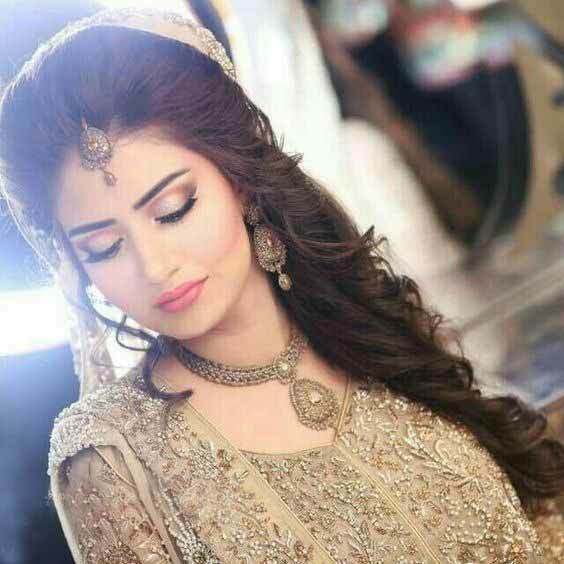 Each bride wishes to look more adorable and ravishing on her all of the wedding events (such as engagement ceremony, nikah function, mehndi, bridal shower, barat, walima and so forth). What hits your mind when you think about wedding makeup for engagement function? Shouldn’t it be breezy, decent, light and delicate with soft hues? Yes exactly! 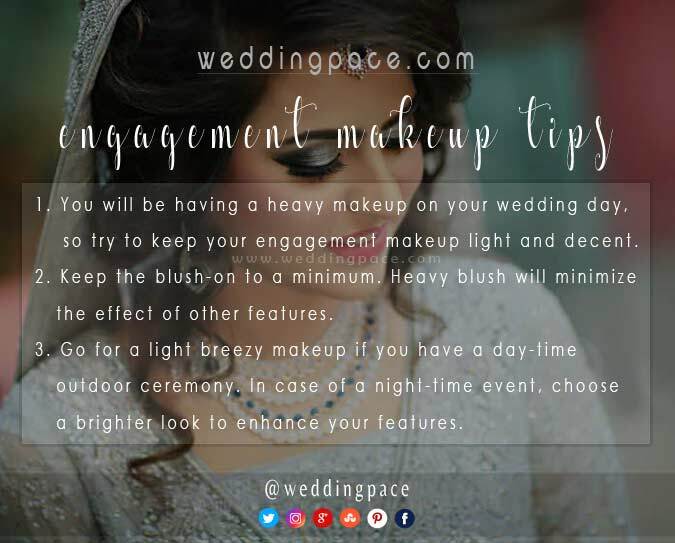 Because you are going to have heavy or bright makeup on your wedding day, so try your best to get a soft and delicate makeup look for the engagement ceremony. The kind of makeup look you choose has a lot to do with your outfit. It needs to be sync utterly when it comes to the sober color schemes used. And so I stumbled, struggled and somehow managed to gather the perfect engagement makeup looks for you, now it’s up to you or your makeup artist that how beautifully he/she will be able to manage it. 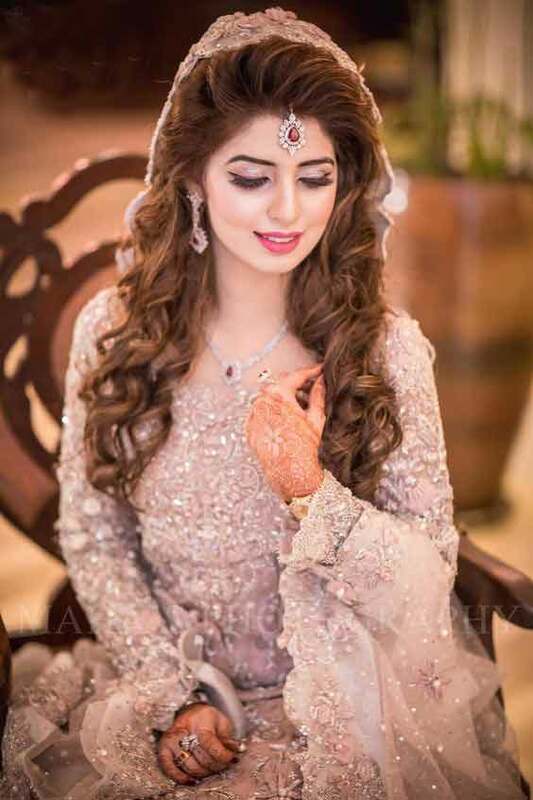 Have a look at the following Pakistani engagement makeup photos that will certainly fill your heart with the impact of overwhelming surprise and you can’t shake them off your mind! You must be going to apply henna designs on your hands (either front or back side of hands). Aren’t you? Have you decided your mehndi designs yet? 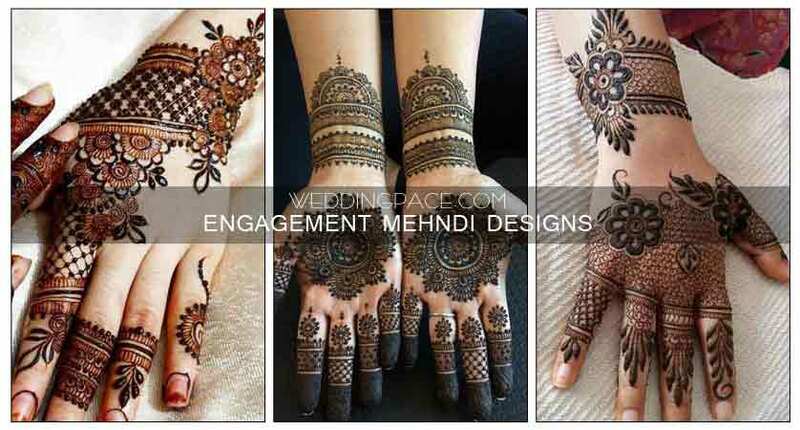 Here are the most beautiful mehndi designs for engagement that will assuredly make you stand out from the crowd. A wedding bride chooses to wear a dress for her big wedding event that she loved the most and dreamed of her whole life. 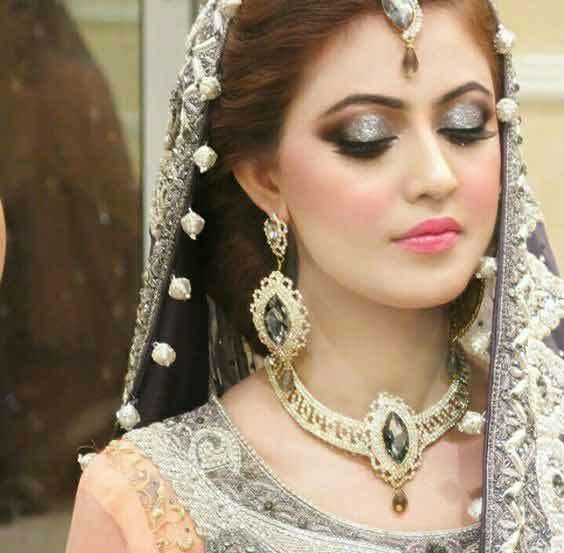 That is why today I have piled up the most trendy Pakistani engagement makeup that will go perfectly with the colors that I have showcased below (grey, golden, pink and off-white). I tried to crack the tough nut for you and cumulated the trendy looks for you at one place. If you are going to wear any of the following dress color, then your energy and time to decide your makeover will be secured for any other precious moments (that actually needs your thinking power). 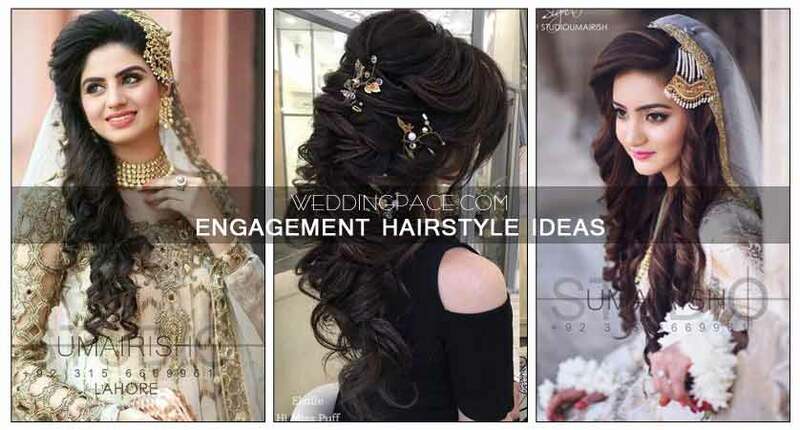 Scroll down and find the most tremendous hair and makeup for the engagement ceremony. 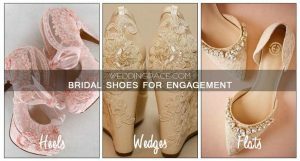 One of the most trendy and sophisticated color scheme for engagement dress is none other than the pastel hues from the palette. 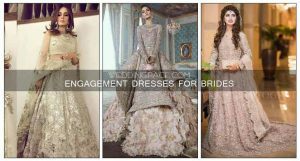 Nowadays, there is a wedding fashion trend to wear pastel colors for engagement, nikah and walima ceremonies. If your dress colors are pastel, here I have showcased the perfect makeup looks to perfectly match with your outfit. Do you know about pastel colors? Pastel Colors: The colors of this family are usually described as “soothing”, “soft”, “near neutral”, “milky”, and lacking strong chromatic content. Pink, mauve, and baby blue are typical pastel colors. From the past two years, grey bridal dress color has been at the top of the list. And still, it is being entertained staggeringly and tremendously not only in Pakistan but also all around the world. All of these makeup looks go well with grey or ash grey bridal outfit. Check out the following bridal engagement makeup for ash grey dress and draw some inspirations from. You can use shimmery grey in the inner corner of eyes while outlining it with the brown shades and finish it with eyeliner plus mascara. Blend, blend and blend! Blending well is the secret to achieve the desired makeup look. I promise. For lips, keep it simple and elegant with the touch of light pink lipstick shade. 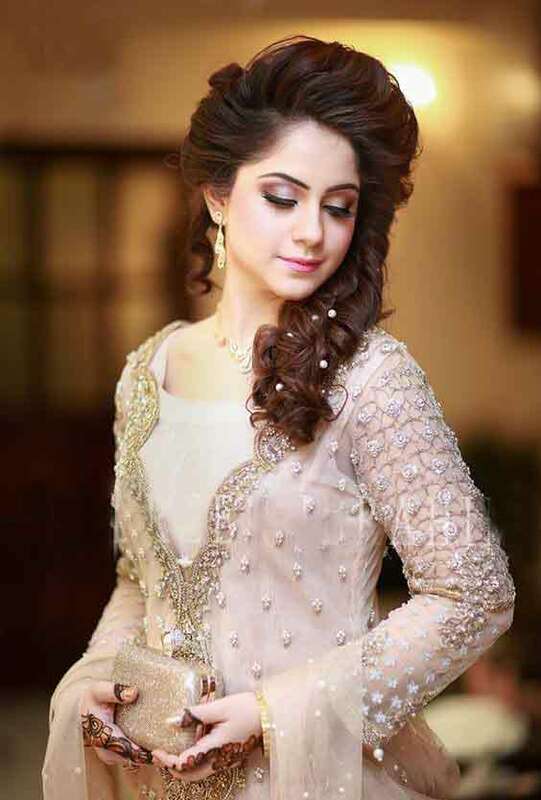 Do not forget to look at the bridal dupatta setting styles and hairstyles. Above all, your hairstyle, outfit and makeup must sync accordingly! 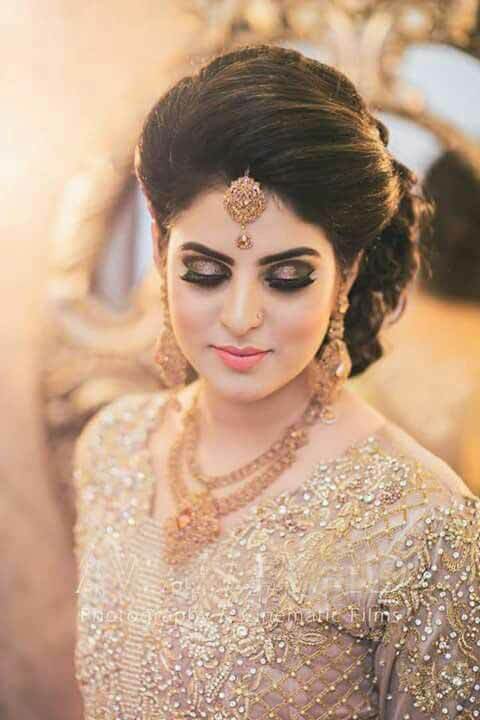 To uplift your engagement ceremony with your wardrobe choices, there comes the super classy makeup look for your golden bridal dress! Golden shades can never fade out. 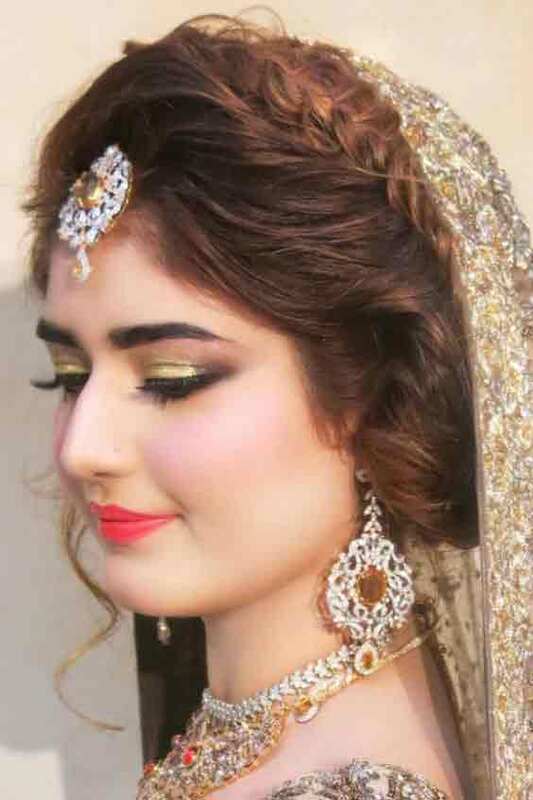 Those brides who are going to wear golden engagement dress must consider the following makeup looks. Choose your favorite one and pep up everyone with your glamorous makeover! Makeup techniques used for pink bridal dress, are super tricky and take a lot of time to conceive. For that reason, makeup artists try to use the minimal amount of makeup for eyeshadows and blush-on. Feel out the following ideas and look ravishing throughout the function. Try to use the lesser amount of makeup for light pink dresses. Because the pink color itself is a kind of attractive and charismatic that truly sings. 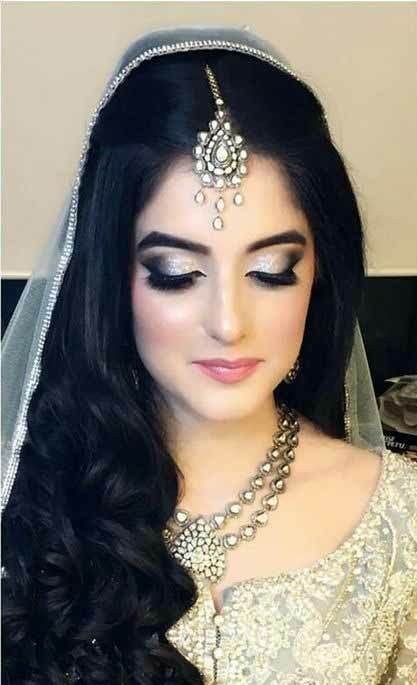 Engagement makeup with off-white bridal dress is often shimmery with the touch of black shaded eye corners. Do remember, less is more! Most of the time, off-white and golden bridal dresses come with heavy embellishments and ornaments, so always try to use minimal makeup with these two colors. Blush-on and lipstick color will be the same (light pink). If you want to add some other color scheme, then little bit touch of peach hues from the palette will work well to enhance features of your face. 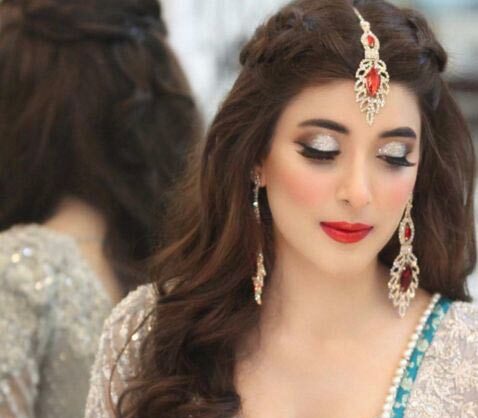 Here are the best Pakistani engagement makeup ideas that you can consider for your big day. 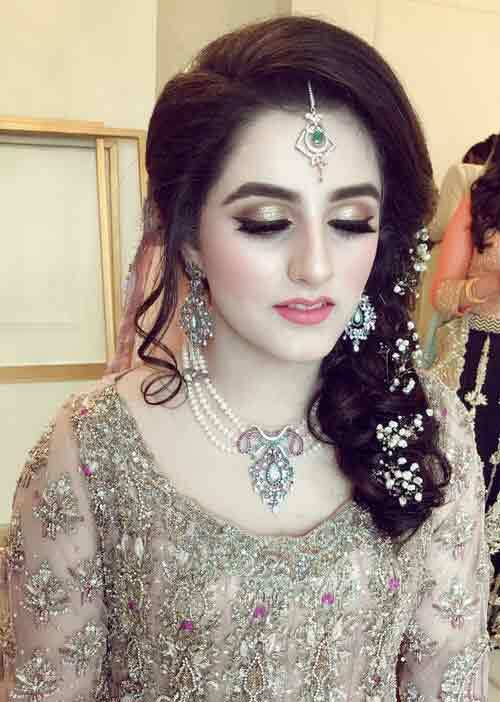 When it comes to the best Pakistani engagement makeup, there are numerous renowned makeup artists available; who have discovered the formula for applying flawless makeup techniques for different dress color combinations. Every makeup expert has a certain artfully persuasive way to apply engagement makeover, but there are only few who actually keeps the commitment and leave us awe-inspiring. 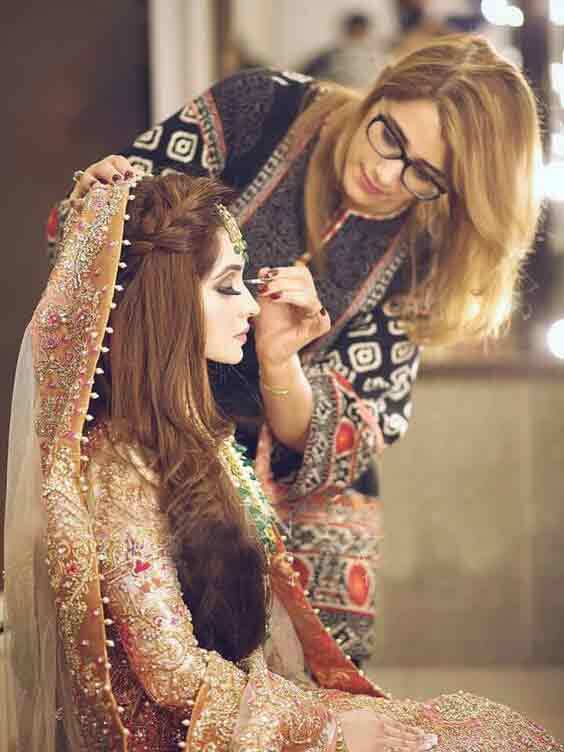 Do you know who is the most expensive makeup artist in Lahore, Karachi, Islamabad or any other city? If you do, let me know via comments! How much do makeup artists charge for weddings? Certainly not at all! 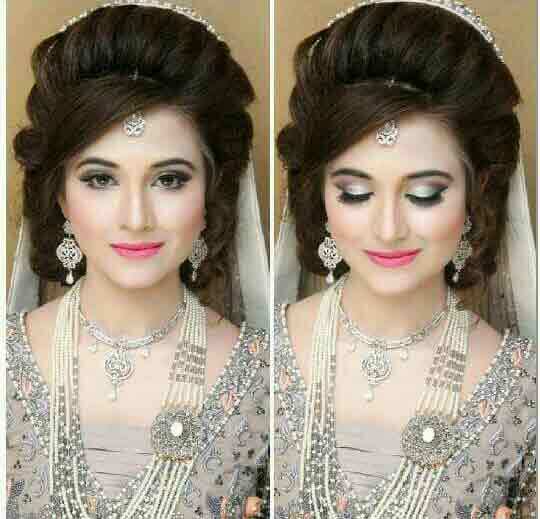 There are numerous bridal makeup experts who charge overpriced but includes extra services as well, such as bridal dupatta setting or draping style and so on. Makeup significantly adds beauty to your overall appearance. So always try to get classy makeup look that can help you to make you stand out from the crowd. That is why how beautifully “Michelle Phan” has to say about it. 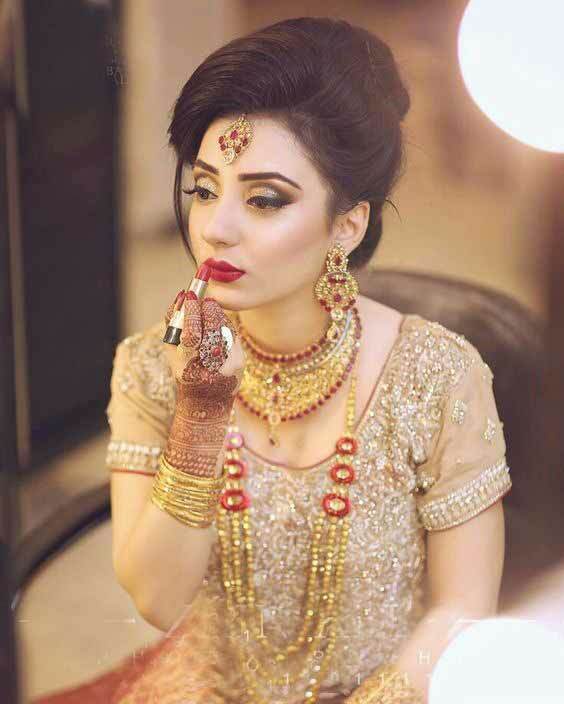 Go over the following Pakistani engagement makeup tips and hacks that actually works. Remember, you are going to have a plenty of makeup on your big wedding day, so try to keep your engagement makeup light and decent. Hold the blush-on to a minimal level, or else it will fade out your eyes makeup. Blending well is the top secret of makeup experts. For a daytime engagement party, try to choose light hues. As far as the night function is concerned, you may opt for a bright color scheme. Avoid wax and other beauty treatments just before the ceremony. Are you wondering to watch a video tutorial for engagement makeup? 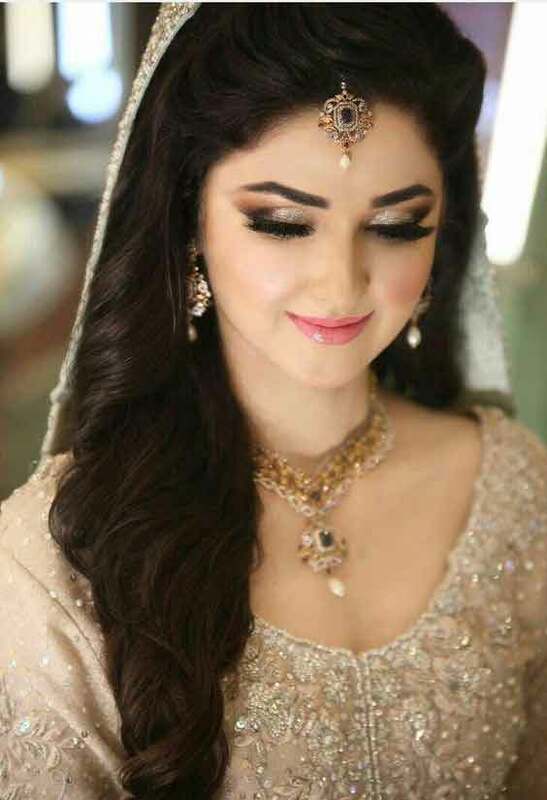 Here comes the most beautiful and simple Pakistani engagement makeup for the engagement ceremony. Inspire everyone around you with your sober and sophisticated engagement look – do not forget to note down the makeup tips told by the expert in this video. While I was watching videos on YouTube, in a makeup video tutorial, the girl demonstrated the same makeup products but different makeup techniques! The half side of the face reflected what we usually do, and the rest half excogitate that we must do while applying makeup). To be honest, there was a huge difference between both sides. Plus, she told that makeup application for different face shapes (round, oval, square, long, heart and oblong) has a great impact. So, the first thought that flashed into my mind was, “I must have to show my readers that how Pakistani engagement makeup actually works for different face shapes”. That is why every bride must know her face shape to get the best results that blend everything with balance. Although, there are plenty of makeup ideas available throughout the internet, which one will suit you most according to your face shape? Which eye makeup will make your eyes more catchy and stunningly beautiful? If your face shape is oval or long, then do you still need a contour? If you have a square or round face shape then how to make it look slimmer just like a model? You will find the answer to all of these questions after watching this short video tutorial. Every engagement bride must be aware of her face shape so that she can achieve the desired look for her big wedding events. 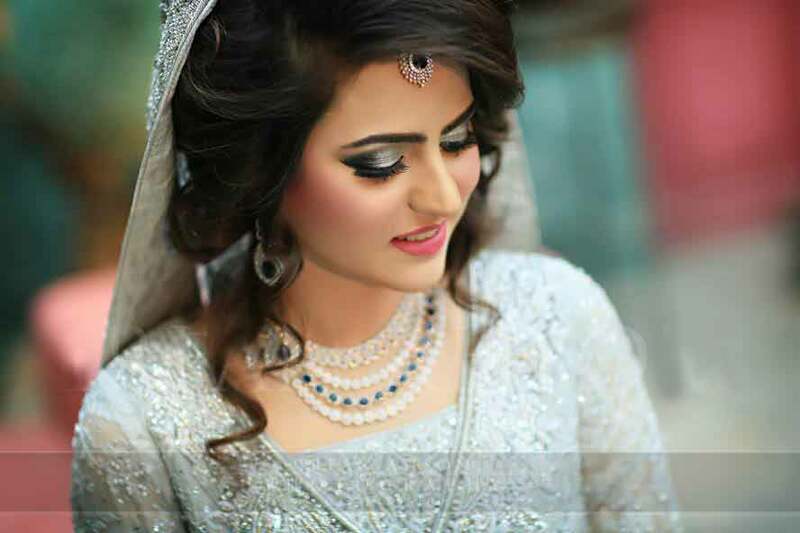 I strongly believe that Pakistani engagement makeup looks from pure gold to glittery silver and even simple makeup ideas helped you to decide your makeover that blends well with your dress. I want, above all, to instil a sense of new ideas about makeup and hairstyle that can work for you. 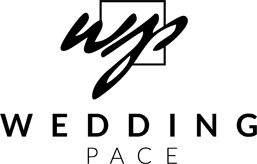 Share your thoughts with WeddingPace and let others also take advantage of your thoughts, inspirations and ideas. If you want more details about any of the above-shown makeup for engagement ceremony, then never feel hesitant to ask me via contact form or comment below. 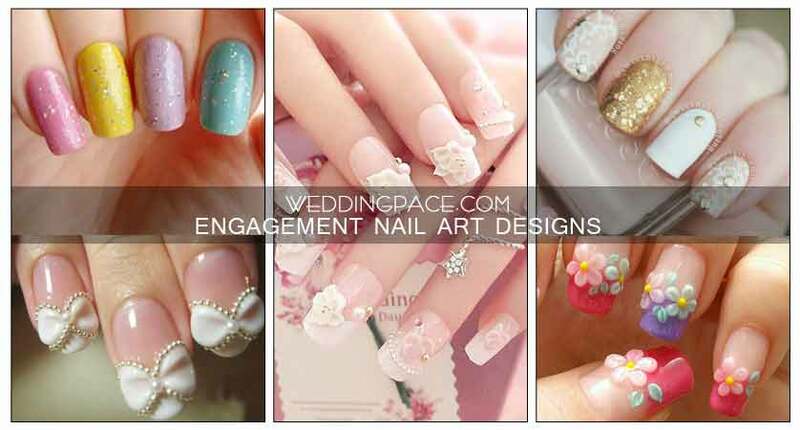 If you like my previous contribution to Pakistani engagement nail art designs, then please like and subscribe to my wedding blog. Whenever your cousin, friend or sister is going to become an engagement bride then share this piece of information with them as well. So they can also get splendid ideas about engagement makeup and can easily take decisions for their big ceremony. On a side note, if we talk about the expensive bridal makeup; I will suggest that you’re washing that money away, literally in a few hours. Just a viewpoint: Take a vacation instead if you’re doing it for the memories and pictures or you must invest money in other important things that are actually important. 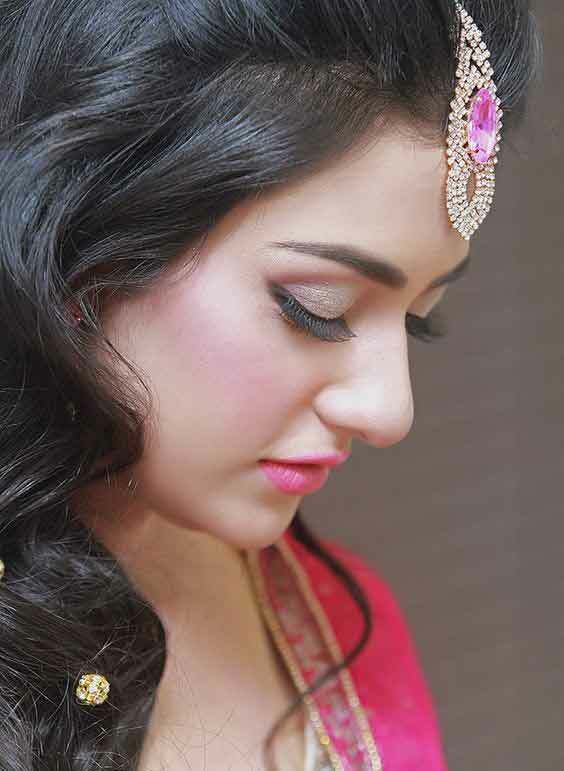 I hope you enjoyed the most recent looks of Pakistani engagement makeup for bridals.